Mr. Tisch is also Chief Executive Officer and Chairman of the Board of Directors of Diamond Offshore Drilling, Inc., and a member of the Board of Directors of CNA Financial Corporation and Loews Corporation. Mr. Tisch is a member of the Council on Foreign Relations. 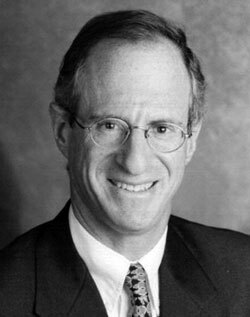 He is also past Chairman of the Board of the Conference of Presidents of Major American Jewish Organizations, past Chairman of the Board of United Jewish Communities, and past President of UJA-Federation of New York. He is a board member and past President of Federation Employment and Guidance Service (F.E.G.S. ), a Trustee of the Mount Sinai Medical Center, a member of the Executive Committee of the Partnership for New York City, and a member of the Board of Overseers of the Wharton School at the University of Pennsylvania. Mr. Tisch serves as Chairman of the Board of the Educational Broadcasting Corporation (parent of WNET Channel 13 and WLIW Channel 21) and is also a member of the Board of Directors of The New York Public Library.